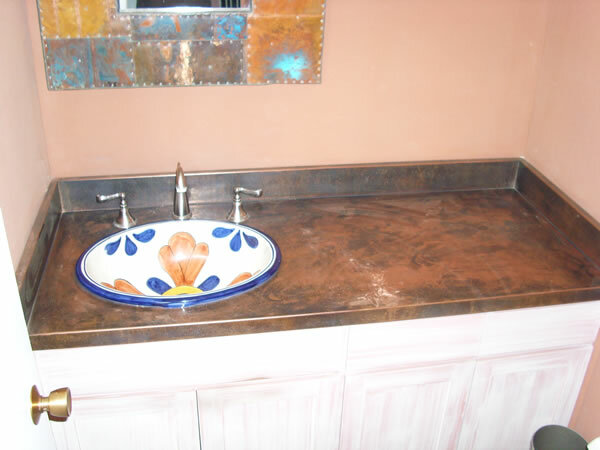 Located in San Marcos, San Diego County, California, we fabricate countertops, kitchen & fireplace hoods, backsplashes, fireplace surrounds, and architectural details utilizing high quality stainless steel, copper, brass, iron, zinc, etc. to your specifications. We offer a wide variety of finishes or can work with you to develop your own custom finish sample finishes. Contact us so we can help make your dreams become your reality. Founded in 1969, we have been custom fabricating restaurant equipment for over 40 years and are NSF certified. We build everything from worktables to refrigerated chef's counters to highly decorative serving counters and front end decorative finishes. Handrails, reception desks, conference tables, coffee tables, decorative wall paneling, or any other use for custom metal fabrication you can envision, these are all projects well within our capabilities. We custom fabricate sinks, countertops, cabinets, tables, autoclave enclosures, etc. from types 304 & 316 stainless steel to your provided specification. We have recently added fabrication services geared toward the arts. In particular we provide fabrication services to artists looking for components or complete fabrication services. We offer in-house laser cutting in addition to bending, rolling, punching, welding and finishing services to create virtually any part or assembly you may require. Click here to visit our facebook page for current events.